Firstly, log into your Twitter account. Select the option you want: Follow button; Tweet button; Profile Widget. When it shows: 'Copy and paste this into the HTML for your website...', you are ready to copy and paste the code. Next, log into your website at QuickontheNet.com. Go to 'Pages' and 'Edit' your web page. Display your most recent Twitter updates on any web page. 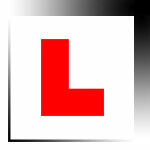 We have compiled a collection of useful Twitter links for driving schools and driving instructors.